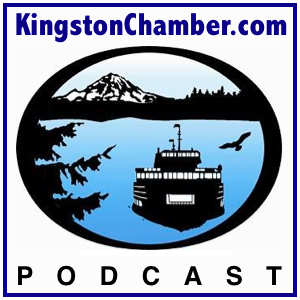 Join host Thomas Lamar of the Kingston North Kitsap Rotary Club as he gets up and “running” with fellow Kingston Rotarian and co-chair of the Kingston 4th of July Fun Run, Clint Boxman. Together with fellow chairperson, Dave Roberts of the Kingston Running Club, this “fun run” has something for all running skill levels: 10K, 5K, and 1 mile dash …and looks to benefit the efforts of the Kingston North Kitsap Rotary Club and the Kingston Running Club. Tune in to hear how to make this event part of your Kingston 4th of July festivities.